Google is planning to make Chrome faster in order to provide its users fast Internet browsing experience. Thanks to a new, open-source data and web compression algorithm for the Internet called Brotli, which Google announced last year to boost its web page performance. With Brotli, Google will speed up Chrome and users could get a significant performance boost in coming months. Google introduced Brotli last September and claimed that the new algorithm is a "whole new data format" that could reduce file sizes by up to 26 percent higher than Zopfli, the company's three-year-old web compression technology. In a post on Google+ on Tuesday, web performance engineer at Google Ilya Grigorik announced that the new algorithm is coming to Chrome soon, which will change the way files are compressed, improving loading speeds by a quarter. Brotli is currently in beta testing mode, with a current status "intent to ship", however, it is likely to be rolled out with the next stable release of Chrome. At present, Brotli is restricted to HTTPS connections, and if you are curious to see Brotli in action, you can activate the feature in Chrome Canary, which is Google's browser for testing new features. Thereby, you can carry out internet speed test with the help of various website performance testing tools to know what difference Brotli makes to your Internet browsing experience. 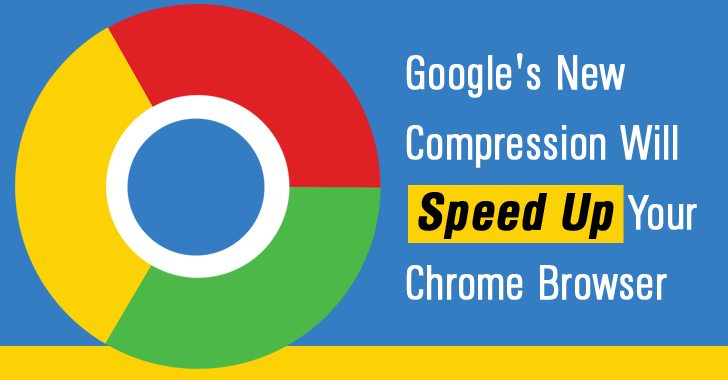 So, Get Ready to Speed Up Chrome and make your web page performance faster.